by boblishman Posted 4th Apr 2005 at 9:48 PM - Updated 7th Feb 2006 at 12:28 AM by boblishman : wrongly said "Plants"...should have been "Sculptures"
Made with SimPE v0.33, Milkshape, MTS2 Mesh tool and is EP Ready with unique (registered) GUID. I thought it was time for another Kitchen Accessory ... 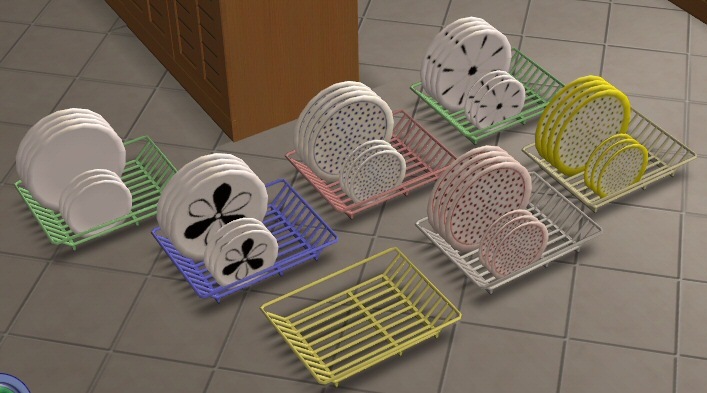 It's a plastic coated wire washing up rack ... with a choice of dishes (or not) ... and choice of colours (for both the rack and the dishes). 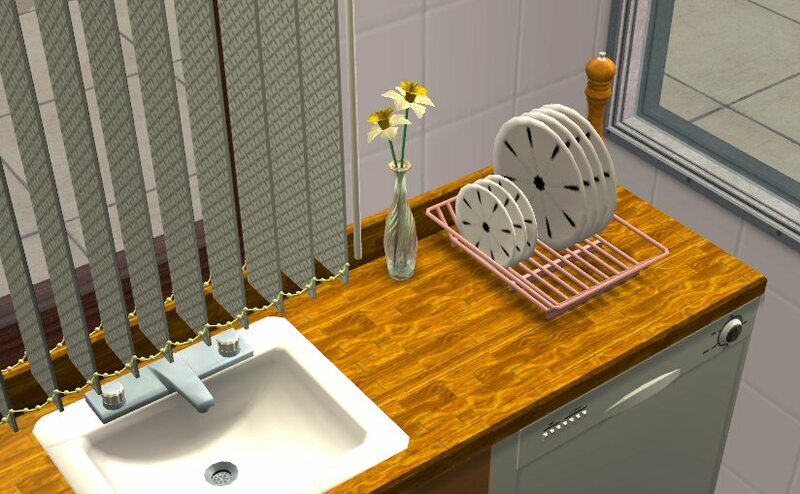 Once again....it's nothing complicated :confused: ...and just for decoration ... (your Sims can 'view' it) ...but there seemed to me to be a need for this, as someone mentioned it in a previous post. 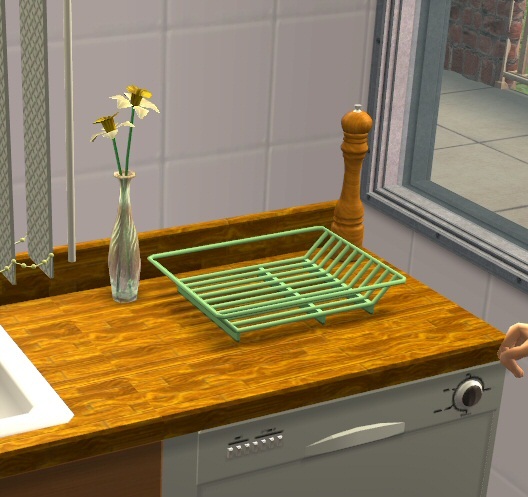 It can be positioned with the dishes facing front, back or side...(plus, there's a little surprise on the back of the plates ...! :Pimp: ). If you use the two cheats (move, snap) you can place additional small objects next to it (see pics)... but works fine without the cheats as a single tile item. It can be found in Decorations - All (the infinity sign). It also appears under Sculptures (because it was cloned from a vase) and I don't know how to remove it from that catagory. If anyone knows...please pm me. Recolours: As usual... please feel free to recolour and post to non-paying websites. However, please do not post the original master file (which contains the mesh) because it may need ammending as a result of your feedback. Please pm me first before posting recolours - I always reply. Please let me know if you have any problems with it..